B.N. Morris "Salesman" Models - Northwoods Canoe Co. 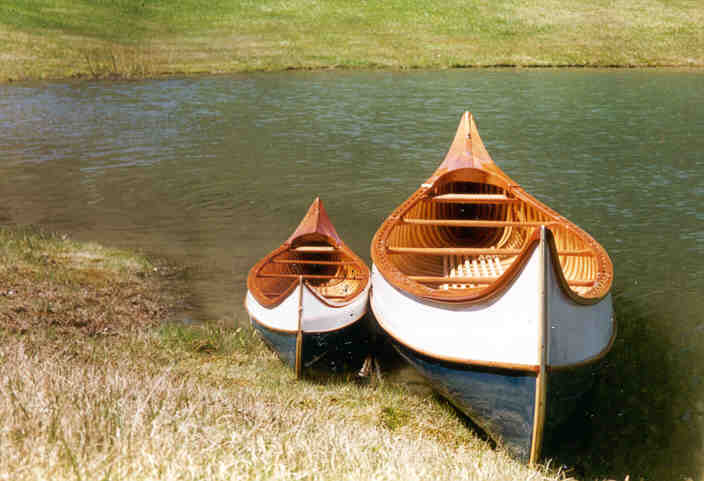 In the early 1900’s retail sporting good stores would often have scale models of the types of canoes that they were offering. 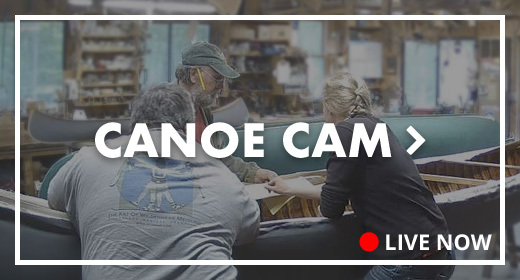 It saved a lot of storage space and financial commitment for the store! 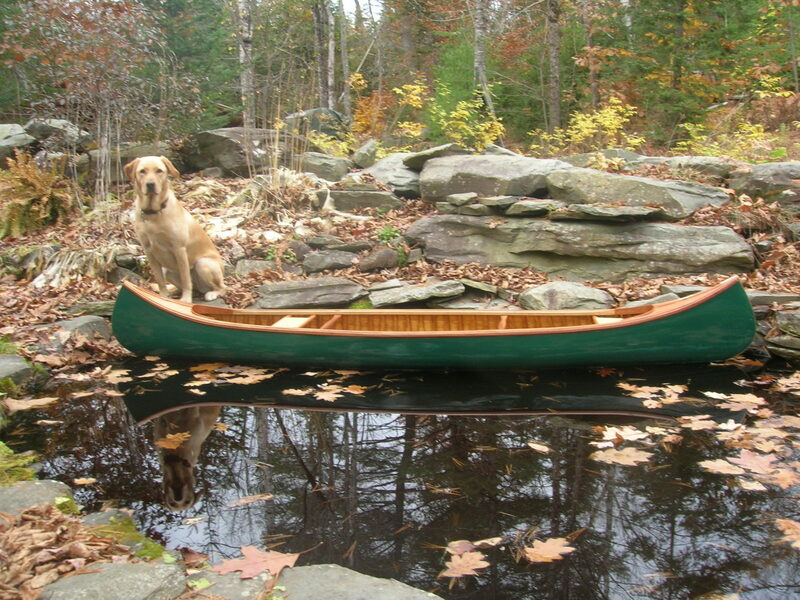 Original Morris canoe models, of any size, are considered highly desirable and now sell, in any condition, for well over $20,000! While I cannot guarantee 400 percent increase in your investment, our half- and quarter-scale models are exact representations of the full-size 17′ B.N. 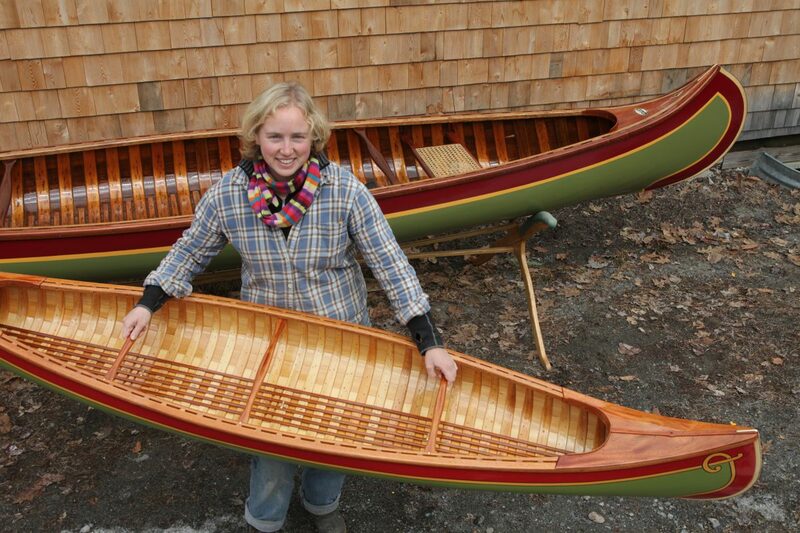 Morris Type III with the long mahogany rails, decks, coaming, floor rack and brass flag sockets. They can also be built as the more open, Type I with short decks and no coaming or floor rack. 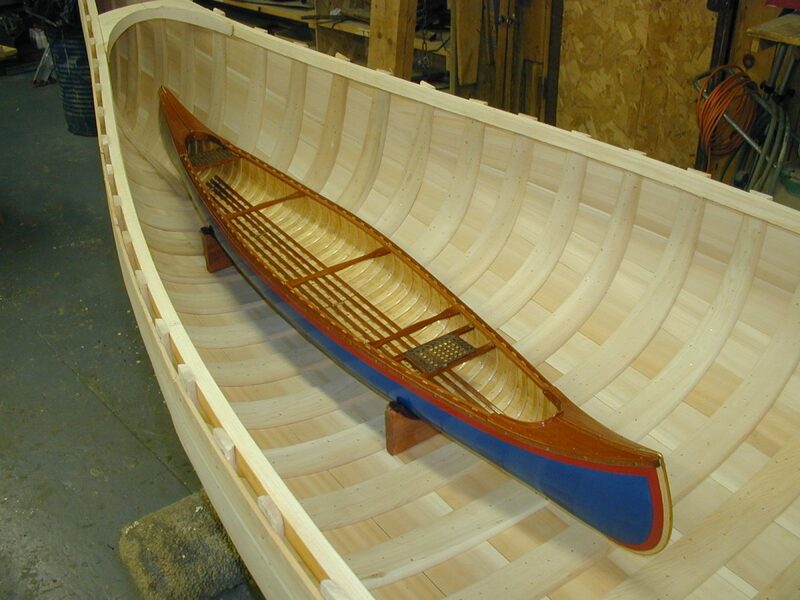 The models are built over a solid form just like the full size canoe with scaled down nails and not built with glue. 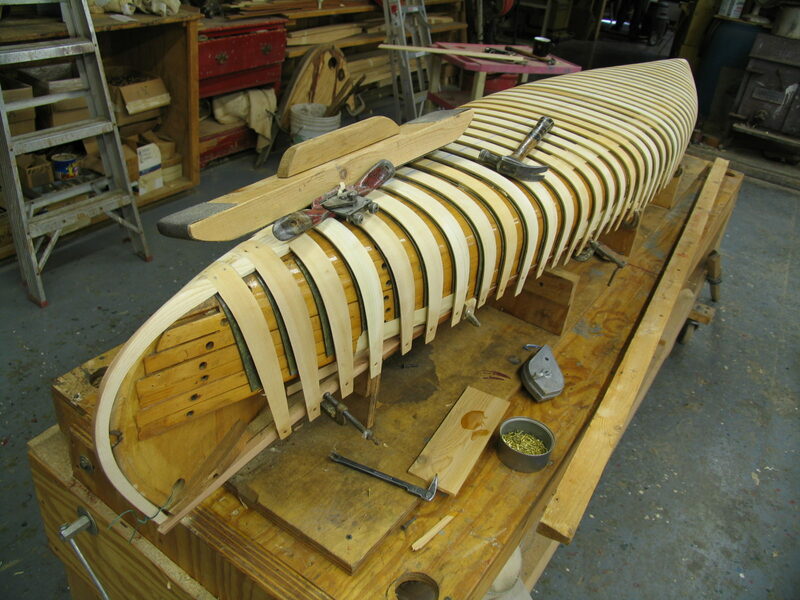 Exact materials and hardware of the highest quality and appropriately sized and fitted are used throughout the model. 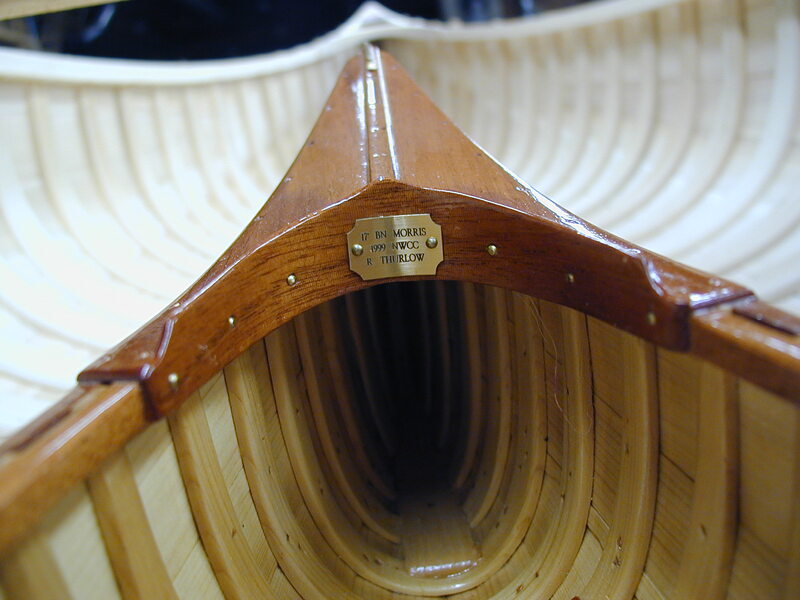 The hull is covered with canvas and painted just as the other canoes. 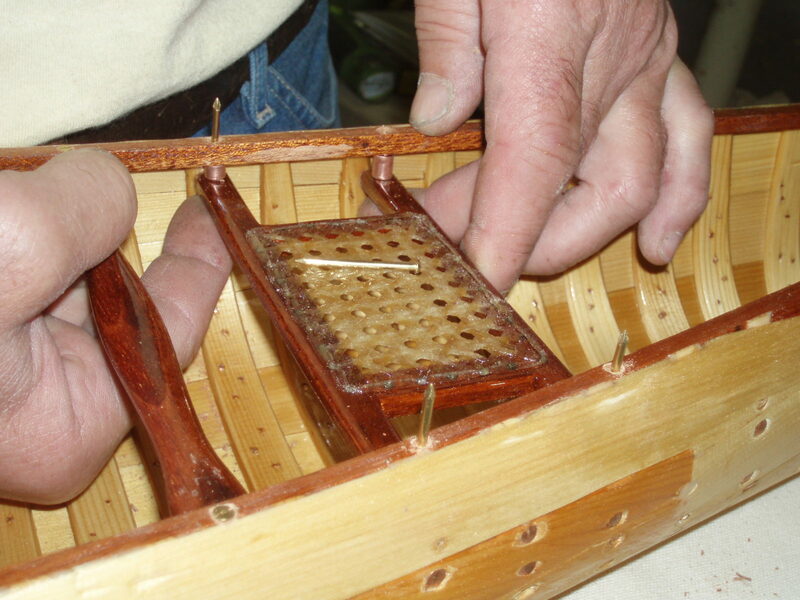 Just because the boats are smaller does not mean that any work or detail is skipped to build the craft. In fact its just the opposite. Building to this scale can be more difficult that working on the full size boat. 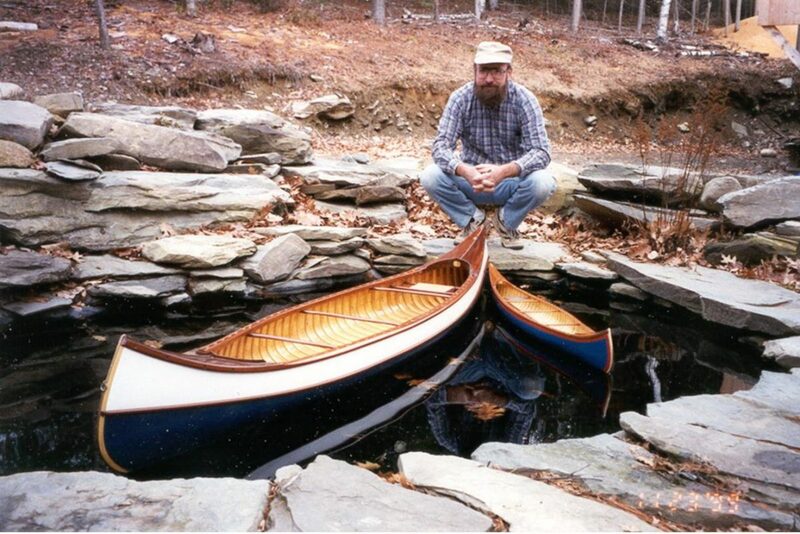 A wide variety of canoe stands can be built to display your boat. 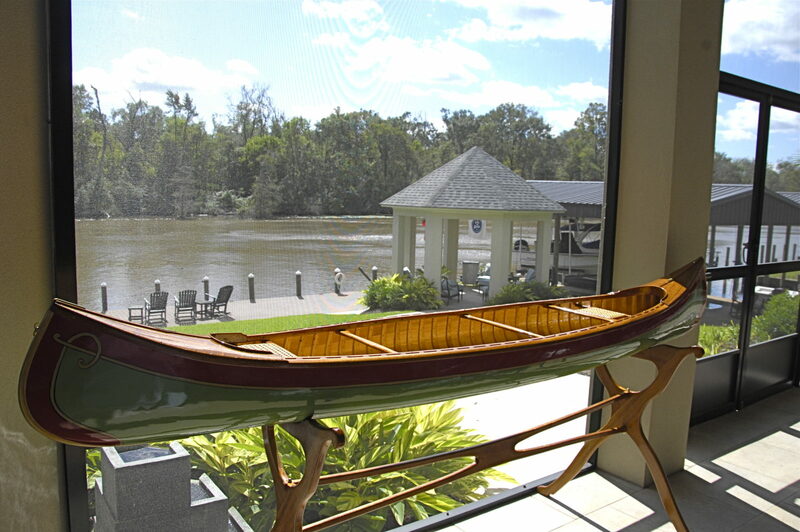 The fine detail work on these exquisite models make a very handsome display in your home, office or retail store.